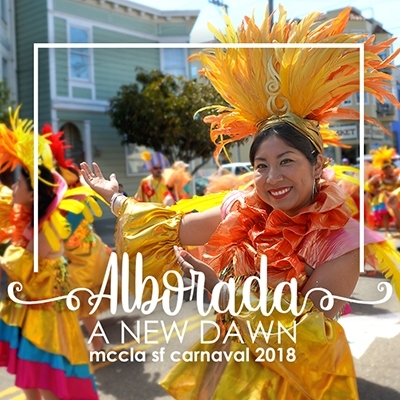 MCCLA’s Comparsa “Alborada (A New Dawn)” gave another spectacular performance! Diana Aburto, a seasoned and talented Nicaraguan dancer, lead this year’s contingent. The choreography blends the music from Nicaragua and the coastal Garifuna groups with rhythms of Cumbia, Vallenato, Punta, Palo de Mayo, and of course, some Salsa.